As a coach and facilitator, I embody compassionate challenge in helping leaders find their way forward, and I have created an experiential workshop based on my own leadership and coaching journey. The workshop takes the stance that leadership is an internal journey externally manifested and therefore it must be deeply personal; every person has a unique voice and presence as a leader. Working to bring that forth allows leaders to navigate with purpose and presence – whether on calm seas or in the midst of the storm. Further, leadership isn’t something that you do – it’s something you “be” in all facets of your life, professionally and personally. Courage (the leader’s North Star): When all else fails, and sailors are lost at sea, they can navigate home by the North Star. I believe the next leading edge of leadership is about connecting with the heart where courage lives. Leaders who do so can nurture themselves on an ongoing basis and lead whole people as a whole person. Mind and heart partnering together. Colin T. McLetchie believes deeply in lives worth living, leaders worth following, and organizations worth being a part of, all of which hopefully create communities worth living in. After a 20+ year career in HR leadership, Colin committed to focusing full-time on partnering with individuals, managers, executives, teams and organizations to identify what success looks like and help them move forward to achieving that success ­at work and in life. He possesses a degree in Interpersonal & Public Communication and a Certificate in Leadership Coaching from Georgetown University and is a Professional Certified Coach with the ICF. 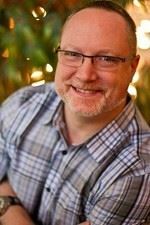 He is known for his wicked intuition, energy, insight, and compassionate challenge in helping clients find their way forward through coaching, facilitation, speaking, and learning and development programs.